Specialization, quality of each component and a great passion are at the basis of Ilve’s range of products for cooking, Italian family company, founded in 1962 in a territory (Veneto region) rich of tradition and culture. Focused on premium products, it provides professional solutions, exported in more than 40 countries worldwide. Thanks to its high flexibility of production processes, the society is able to meet local needs and ensure long-lasting, highly reliable products with a refined design. 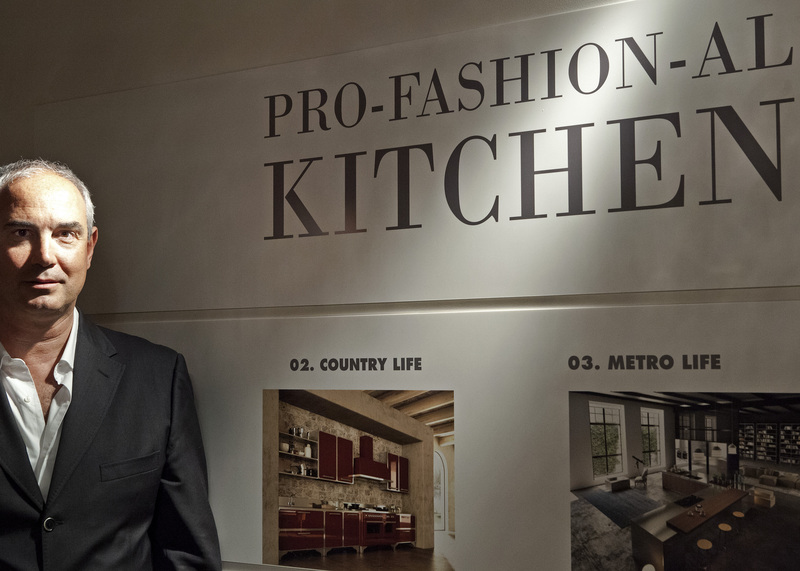 With an established presence in the furniture channel, the company has entered this year the home appliances specialist retail, as Alberto Illotti, the sales manager, tells in this interview also underlining the ethical and sustainable values ​​that Ilve has always been inspired by. Let’s give a brief profile of Ilve: when was the company founded and with what mission? 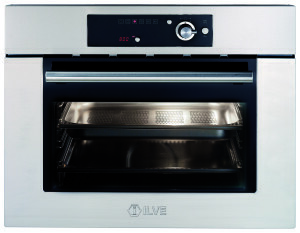 Ilve was founded in 1962 and started its activity with the production of kitchen furniture realized with enameled metal and related gas burners. Over the years it has specialized in high-end appliances for cooking, bringing domestic products with professional performance to people’s home. How is your company organized now and in which foreign markets is it present? We distribute our range in more than 40 countries worldwide with an export rate of over 80%. Our customers are mainly importers/wholesalers specialized in home appliances. What are the distinctive features of Ilve’s products? A great care for design, performance comparable to those of restaurants, wideness of products range without rivals in the world, total quality, in the classical meaning of the word. 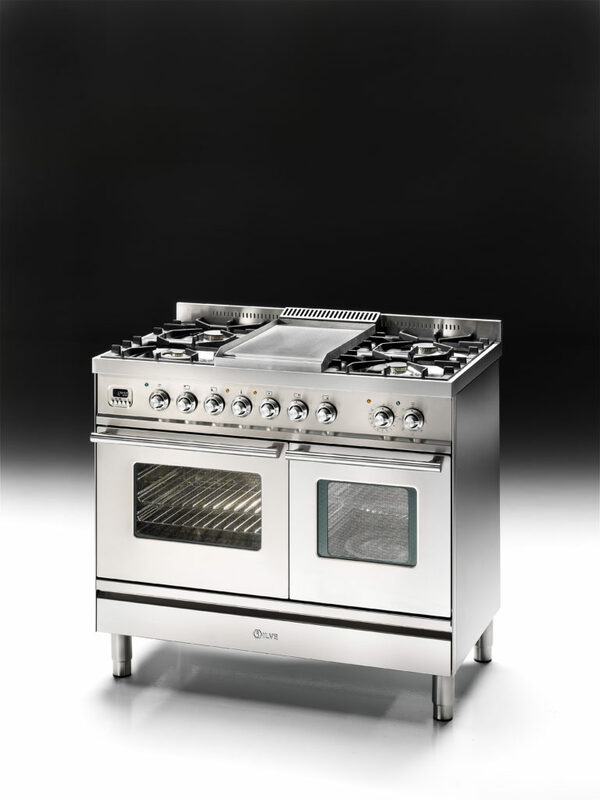 Our appliances are made with passion, using only highest quality components that guarantee a long life. How will be articulated your 2016 catalog? It will be a revolution. We has organized it in order that for each product all the relevant information is easily available. It will be a real reference point for all competitors. The kitchen environment is significantly evolving: what must not lack today in an efficient kitchen? Cooking does not need much. 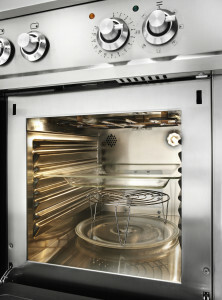 But for those who cook for passion there is no limit: steam, blast chiller and vacuum machine, low-temperature cooking. These are the techniques used by star chefs that will be the domestic trends of the near future and Ilve is ready in this regard. Which are the Ilve’s proposals to meet the multiple needs of design, integration with interior decor and energy efficiency? My father always told me “do something good and make it once”; I mean: there is one only way to design in our opinion, and that is to do it immediately well. Even for the ovens our rule is: Beautiful, Good and Fair! I translate: they must have a nice design, last for a long time and cook well respecting the environment! And how can you meet the local needs of the different markets to which you export? Thanks to our high flexibility in design and production, we can manufacture products with different features and propose specific solutions for each country, depending on the local culinary habits. Technology is now present in the kitchen in several forms: which are the most advanced solutions offered by your range? Our flagship product is a combined oven we call “Ultra-combi” that includes in the same machine the traditional cooking with hot ventilated air, microwaves and steam, both in singular and combined functions. A real gem for connoisseurs. 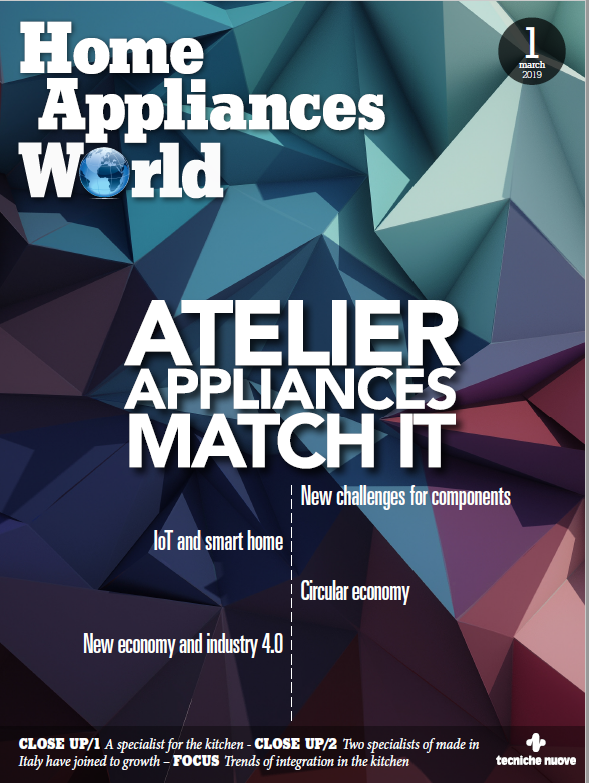 What trends do you observe in the consumers’ choices of cooking appliances in Italy and in the world and how do you think the kitchen environment will evolve in the coming years? I would repeat what said above: steam, blast chiller, vacuum, low temperature cooking to cook like the star chefs. In what channels are your products distributed? Historically in the furniture channel, but in 2015 we have started to give attention also to the electrical retail channel with a line of dedicated products. What role should the distributor have to promote the distinctive elements of the kitchen? We are not interested in warehouses but to exhibition and demonstrations. We look for partners who are not collectors of orders but brand ambassadors. To sell ​​Ilve means to introduce consumers a world of solutions to which they are often not used or neither have ever thought they can exist, so it is crucial the role of “witness”. In what could the partnership between producers and retailers improve? I am convinced that today, in a market where multinational groups reign supreme, human relationship is still very important. There must be feeling between company and business partners, mutual respect and esteem. For a family business like Ilve the values ​​of ethical business are still fundamental. What has been the trend for Ilve in 2015 and what will be your strategy for the next year? Exclusive news by Ilve, PDW 100 of the Professional Plus Series is a freestandig appliance, that looks like a single block of 100 cm, which includes a 60 cm multifunction oven and a microwave oven of 40 cm with grill. A truly innovative solution that allows to take advantage from all cooking methods, from the most traditional to the most modern ones. In details, the microwave oven, made of solid and elegant stainless steel, features all the plusses of the latest generation: digital display; 1600 W grill, 1000 W microwave, 4 levels of microwave cooking (1000W, 700W, 450W, 250W) and 2 combined cookings (700W grill+microwave; 450W grill+ microwave). It is also equipped with all the precautions for safety, such as 3 glasses door with security opening system. Accessories include: a turntable ø 27 cm; 1 glass drip pan with grid; 1 support for combined cooking. For those who like the savory tastes, but relies entirely on lightness, Ilve offers the built-in steam oven 645 LTK ST, a cutting-edge model with 35 liters capacity, which offers many benefits. It has a digital display, dedicated steam generator and allows users to choose among 4 levels of cooking to meet all needs. It also features defrost function, 1.2-liter tank, forced ventilation and is totally user friendly thanks to the indicator of the lack of water and notice that signals the need to perform the cleaning cycle for the limestone. It does not miss the open door security system and the children safety lock. 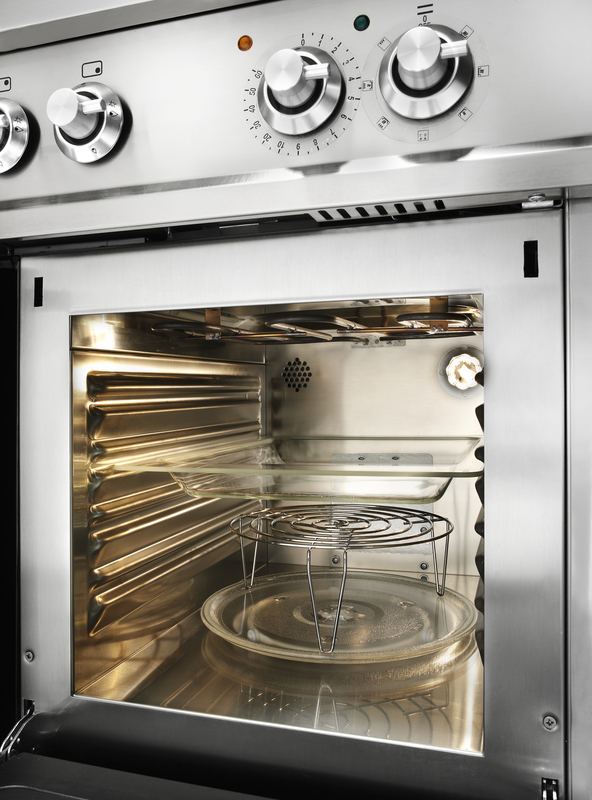 The model includes two stainless steel drip pans.